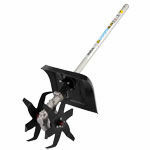 The Honda Kombi (VersaTool) cultivator attachment is really handy to have store in the shed ready to be used for all your tilling, aerating and cultivating needs. 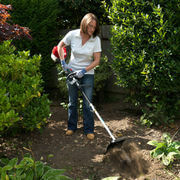 Its practical width of 170mm makes cultivating your garden and lawns has never been simpler. 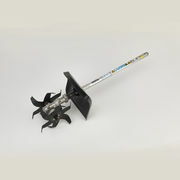 The guard also protects you from the rotating blades to ensure you won't be hit by flying debris. No matter how dry or moist your solid is the Honda VersaTool makes light work of your tilling needs.